College students are busy, no doubt about it. Between writing papers, doing research, studying for exams, and maintaining a social presence, college students are stretched thin as it is. 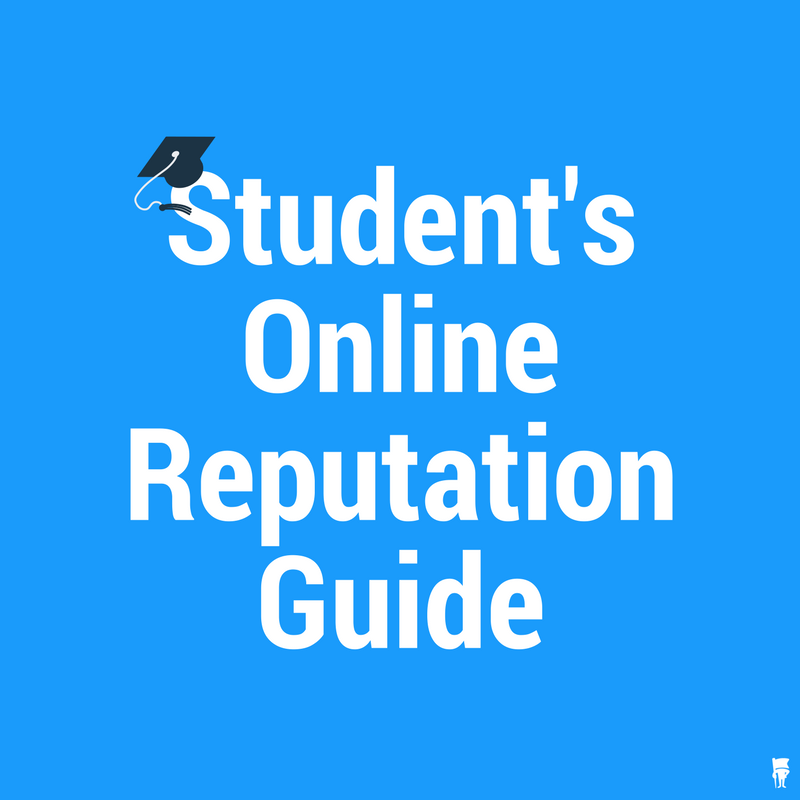 However, there is something else that students must pay attention to: their online reputations. Today’s economy is both competitive and tough; one bad tweet or one bad Facebook status update could put your chances of landing your dream job or internship in major peril. The fact is that you want to put as much of your Google search results under your control as possible, and this means diligently incorporating online reputation management techniques. The nature of job recruiting has changed drastically with the invention of internet job boards, online social networking and web-resumes. Many employers use the internet and social media platforms for recruiting job candidates. Websites like LinkedIn are constructive and powerful sites for job applicants to network on, find job postings, and enhance their career opportunities. It’s important, though, for all college graduates looking to enter the workforce to remember one very key point: your social presence online can directly impact how an employer evaluates you as a job candidate. According to a study conducted by JobVite.com, 92% of companies use social media for recruiting, and 45% of Fortune 500 firms include links to social media on their career page sections. LinkedIn is the #1 recruitment tool by companies, as of 2012, 93% of companies surveyed claimed to use LinkedIn as a recruiting tool (66% used Facebook and 54% used Twitter). Social media has become integral to recruiting candidates and encouraging applications. But what role does social media play in the screening process? Are employers using social media to screen potential candidates and thin out the competition? Can employers use social networking sites and search engines to research prospective employees? The answer is definitely, yes. The JobVite study mentioned earlier found that “75% of hiring managers and recruiters check their applicants’ social profiles”. According to this study, as many as 1 in every 3 employers rejected candidates based on something negative they found in candidates’ social profiles. Furthermore, in a 2009 study conducted by Microsoft, 79% of hiring managers and job recruiters in the United States claimed that they would review online information produced by search engines of job applicants, while 70% of those surveyed stated that they have rejected applicants based on their findings. The numbers are surely trending upward as well. The fact is that employers are using the internet to make sure that candidates have reputations that can adequately represent and speak for the reputation of the company. All the more reason for making sure that the web results you control are as clean as they can be, and for college students, those web properties are social media. For students that are graduating – don’t let something like your web presence and your online reputation take a back seat. We live in a digital age where everyone is found online, and nothing can be hidden. Not everybody will have something negative posted about them to the web, the same way that not everybody will get hit by a car. But you still look both ways before crossing the street. Need Some Help Cleaning Up Your Online Rep? Whether you have something potentially damaging on the web or just want to clean up your search results for the job hunt, you should be actively maintaining your online presence. Check out our Ultimate Online Reputation Management Guide for a complete breakdown on how to put your best foot forward online. BrandYourself offers a free Do-It-Yourself online reputation management tool as well as custom services to help create an online presence that will impress any potential employer looking you up in the interview process. Sign up for free to get started.